About 400 men and women who doused the fires that raged through the Garden Route last week were honoured by local residents on Saturday. They marched through the main street of Knysna as members of the community applauded. “It is absolutely delightful to extend some kind of thanks to these heroic men and women. The people of Knysna just don’t have the words but this is the best that we could do‚” said Phil Golson. Des van Rooyen‚ Minister of Cooperative Governance and Traditional Affairs‚ was also in attendance. Western Cape Premier Helen Zille said this was the biggest rescue operation in South African history. 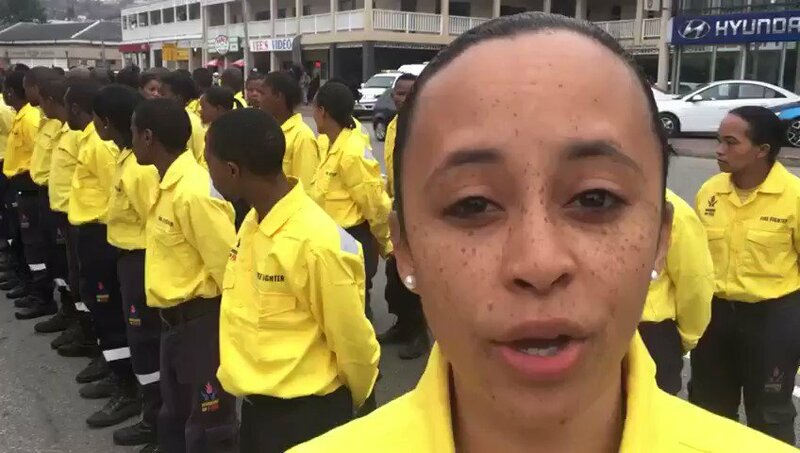 “The fires spanned at least 100 kilometres‚ and were bravely fought by a team of 1‚106 fire-fighters from the province and elsewhere‚” read a statement issued by her office. At least 10‚000 residents were evacuated and many lost their homes and possessions.